While the Xbox One comes with a headset in the box, it only provides the bare minimum in terms of features. If you’re planning on frequently playing your Xbox One online, you’re going to need a headset that has the technology you need for your teammates to hear you clearly. A garbled command or hearing nothing but static can be the difference between your team taking first place in an intense round of “Halo 5” or coming in at last place. The best Xbox One headset for you, boils down to your particular needs and how often you’re going to be using the headset. If you’re one of those gamers who feels that simpler is better, then you’re likely content with the original Xbox One headset and that’s fine: The original Xbox One headset isn’t bad by any means, it just doesn’t offer the advanced features you’ll find on other headsets. If you need to replace your original headset or want to purchase extras for when friends come over, Microsoft sells the pack-in headset under the name Xbox One Chat Headset. This headset is a dead ringer for the one that originally came with your Xbox One, letting you talk to other players online, mute other players and change the volume of the headset on the fly. 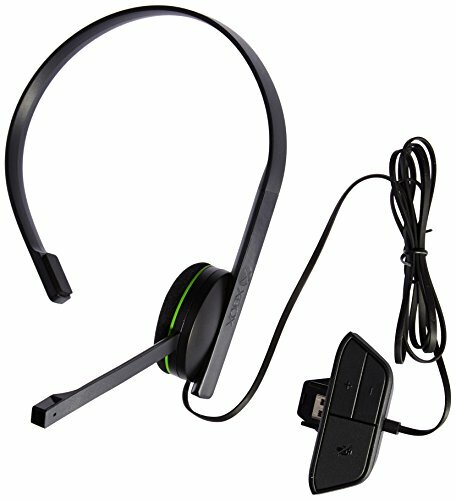 Microsoft offers different styles for the Xbox One Chat Headset when purchased as a separate product, such as a camouflage Armed Forces special edition headset. This special edition headset is not only a great way to celebrate the soldiers of the United States, but it also lets you differentiate between multiple headsets. For example, the original Xbox One headset can be your headset while the Armed Forces Xbox One Chat Headset can be specifically for guests. If you love the feel of the Microsoft Xbox One Chat Headset and are looking for something from Microsoft that provides a richer aural experience, you’ll love the Xbox One Stereo Headset. While the original Xbox One Chat Headset only features one earpad, the Xbox One Stereo Headset features two earpads like most traditional headphones. What this means is that the Xbox One Stereo Headset provides a full-range audio spectrum. With this headset, you’ll hear everything from an explosion on the battlefield to the sound of your enemies reloading their guns. This headset will not only increase your listening experience, it will also make you a better gamer. 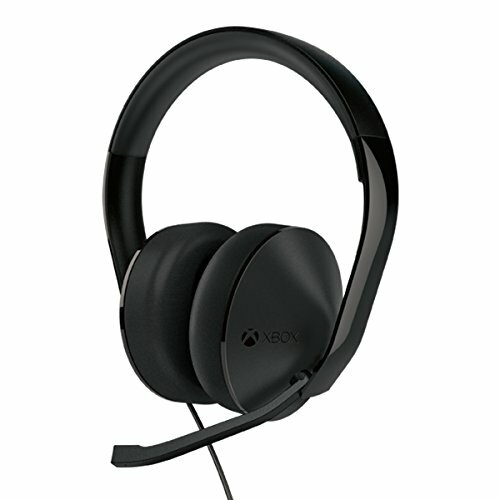 The Xbox One Stereo Headset includes the same features of the Xbox One Chat Headset, including adjusting the game-to-chat balance, muting players and adjusting the volume on the fly. However, Microsoft cautions that the Xbox One Stereo Headset will need a large update when you first connect it to the Xbox One, so make sure you set aside some time when first plugging in the headset. 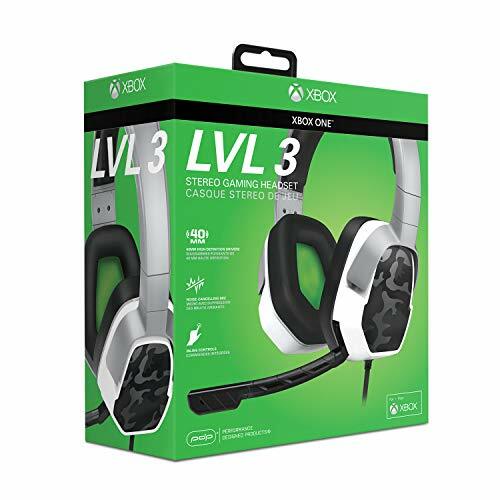 When branching out from Microsoft, you’ll find a wide array of third-party manufacturers that offer officially licensed Microsoft Xbox One headsets. The Turtle Beach Elite Pro 2+ SuperAmp Gaming Headset is made for PS4 too, but this particular build is tailored specifically for the Xbox One. This headset is equipped with 50mm Nanoclear speakers that bring the sounds of your game to life like never before. Turtle Beach call this ‘superhuman hearing’ as it brings out all the background noises you might otherwise miss, to give your gaming an edge. 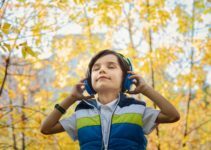 In addition, the Aerofit ear cushions allow you to wear these headphones for hours without experiencing any discomfort in your ears. They keep your ears cool while at the same time improving bass and reducing background noise. The Turtle Beach Elite Pro 2+ SuperAmp Gaming Headset comes with the Audio Hub mobile app, which is compatible with both iOS and Android devices. This allows you to tweak an equaliser for the headset via the app to get he most out of your headset. As an added bonus, the microphone is also noise cancelling, utilizing Turtle Beach’s Truespeak technology. 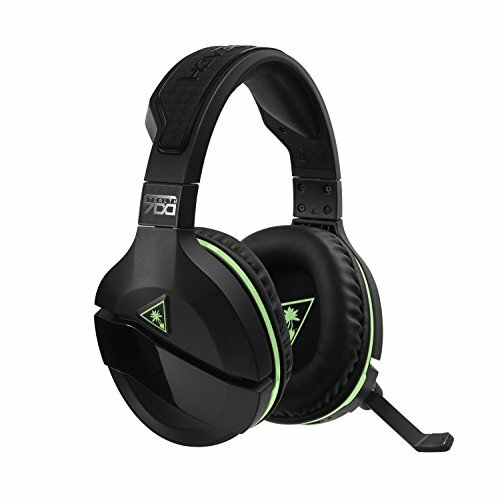 If you’re looking for a Turtle Beach headset that is wireless, specifically for gaming and packing a hell of a punch, check out the Turtle Beach Stealth 700 Premium Surround Sound Gaming Headset. With this headset, you sacrifice some of the ancillary features of the Turtle Beach Elite Pro 2+ SuperAmp headset in exchange for a lower cost. But while some things are conceded for the lower price, the Turtle Beach Stealth 700 also has some plus points over its big brother too. 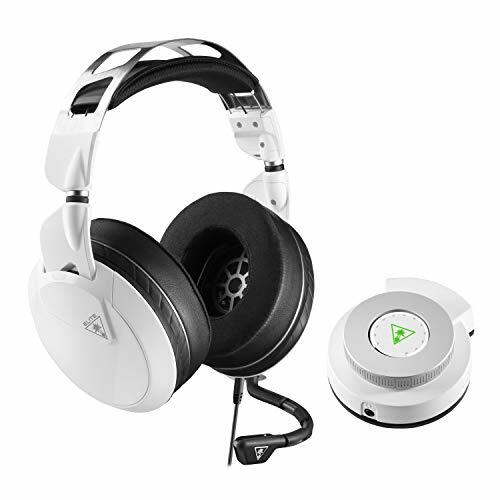 For a start, the Turtle Beach Stealth 700 Premium gaming headset is completely wireless. No base hubs or adapters, just you, your headset and your XBox. 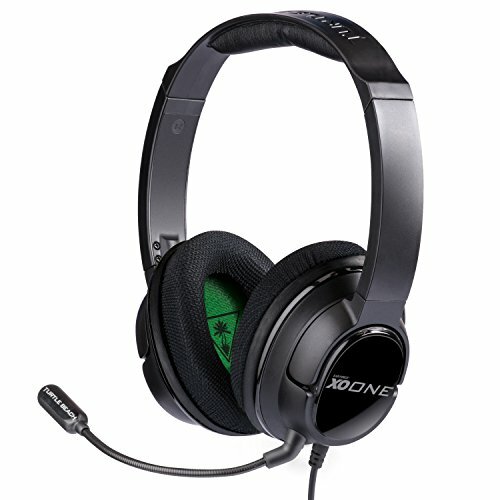 The headset incorporates Windows Sonic Surround Sound software to bring you powerful and immersive depth to your games. The active noise cancellation keeps your chat clear and your audio awareness enhanced. To top it all off, as with all of the latest Turtle Beach headsets, the Stealth 700 Premium gaming headset comes with the user friendly ProSpecs design for those with glasses, and the customary mic that mutes when raised. All in all, a great investment for your gaming. For gamers who want more features out of their Turtle Beach headphones and not less, try the Turtle Beach Ear Force XO One Amplified Gaming Headset. Instead of using 40mm Neodymium drivers, this headset ups the number to 50mm to provide a sound experience that will blow you away. In addition to providing the standard controls like volume adjustment and muting the headset, you’ll also find controls that let you alter the levels of bass and adjust your mic sounds independent of the headset. The Turtle Beach Ear Force XO One Amplified Gaming Headset is as comfortable as it is high-quality. Using the standard around-the-ear style, it will feel like a pair of clouds was placed on your ears when you slip this headset on. In fact, after a few minutes, you’ll forget this headset was even on your ears. Like the 50X headset, the Ear Force XO headset features a detachable microphone for those times you just want to listen to music. Unlike the 50X headset, the Ear Force XO headset works on mobile devices in addition to the Xbox One, PlayStation 4, PC and Mac. If you’re looking for the best Turtle Beach Xbox One headset, look no further than the Turtle Beach Ear Force XO Seven Pro Premium Gaming Headset. What makes this headset stand out is a feature that Turtle Beach dubs the “Superhuman Hearing Mode.” With this mode, Turtle Beach claims that you can hear subtle clues like footsteps, letting you get the jump on your enemy before he even saw you coming. If you’re serious about playing online first-person shooters, this headset will give you an edge over your competition. However, that’s not all that the Turtle Beach Ear Force XO Seven Pro headset has to offer. You’ll not only get all the great features of previous Turtle Beach headsets, but you’ll also get additional features like variable mic monitoring and the ability to set specific chat presets on a game-by-game basis. If you’re serious about online gaming and want the best Turtle Beach has to offer, the XO Seven Pro headset is the best Turtle Beach headset available for the Xbox One. If you’ve tried a Turtle Beach headset and are not a fan, you’re in luck: There are still plenty of other manufacturers making Xbox One headsets. One such manufacturer is PDP with their Afterglow LVL 1 Chat Communicator. This headset can best be described as an upgraded Xbox One Chat Headset. The microphone rotates, letting you place it directly where you feel most comfortable with it, a stark difference from other headsets where the microphone is in one fixed location. This headset features a noise-cancelling microphone, meaning that only your voice is going to broadcast to your gaming friends and not additional sounds such as your music or a crying baby. If that wasn’t enough, the 30mm driver provides a listening experience that will let you clearly and efficiently pick out the enemy thanks to the headset’s focus on sound clarity. Unlike other headsets, PDP realizes that style is important, and the Afterglow LVL 1 Chat Communicator features an interesting design that makes the user look good while wearing it. Like most headsets of its kind, this headset provides in-line controls for both volume and mute. 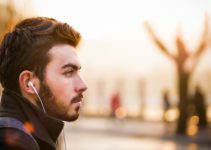 The best part is that this headset comes in at a considerably lower cost than other headsets on this list, letting gamers on a budget enjoy a high-quality Xbox One headset. If you’re a gamer who isn’t concerned with a budget, you’ll want to check out PDP’s Afterglow LVL 3 Chat Communicator. 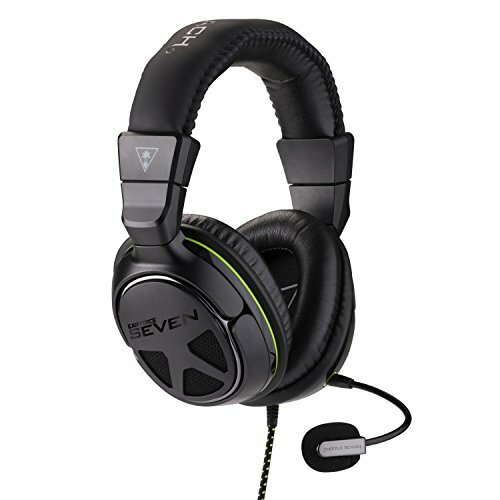 As the name states, this headset is an improvement over the LVL 1 version. You go from one earpad to two and from 30mm to 40mm, providing an immediate difference in sound quality. Not only does the microphone rotate like the previous headset, on the LVL 3 model the microphone can also bend to any shape you desire. Comfort is important when you’re using an Xbox One headset, especially if you’re planning on marathoning the “Gears of War” trilogy. The pillow cushioned earpads will make sure your ears don’t get sore whether you play for an hour or pull an intense all-nighter with your friends. Keep in mind that if you are planning on using these with a first generation Xbox One controller that you will need a headset adapter, which is sold separately. While most Xbox One headsets come in green and black, which is the official color of the console, Polk Audio gives gamers a choice of color when it comes to their Polk Audio 4Shot headset. While there is the standard green and black color scheme available, gamers can also choose from a striking blue and black color scheme or an all-black color scheme. Color doesn’t matter if the headset itself isn’t high-quality, and luckily the Polk Audio 4Shot delivers on that front. 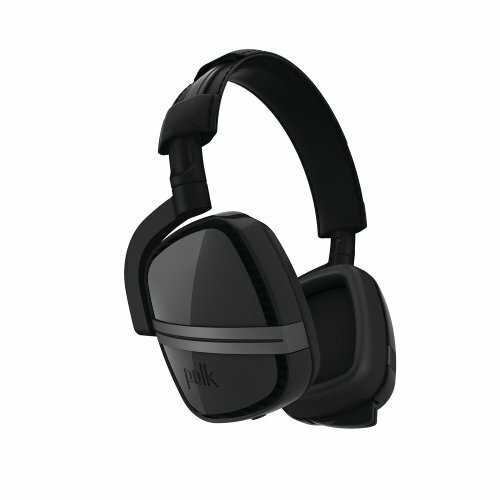 Billed as the “first-ever collaboration between game designers and audio engineers,” the Polk Audio 4Shot headset is a collaboration between Microsoft game designers and Polk audio engineers. This collaboration resulted in the first ever two-mic gaming headset. 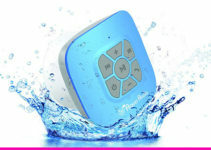 The first mic is fully retractable and is designed for peer-to-peer communication on programs such as Skype. The second mic is a boom mic, designed exclusively for providing crystal-clear audio when speaking to your teammates on the Xbox One. Not only can you use the Polk Audio 4Shot on your Xbox One but it’s also is a great headset for your mobile devices, such as an iPhone or Android phone, or a tablet, such as the iPad. The SteelSeries Arctis 7 Lag-Free Wireless Gaming Headset, is a new entry to the marketplace, and what an entry it is. 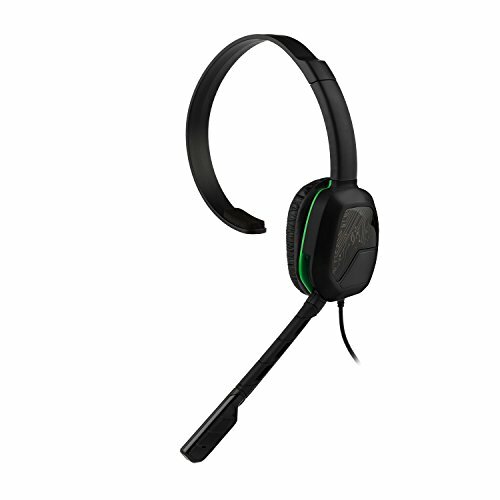 This wireless gaming headset has a range of 12 meters (44 feet) and works across the 2.4 GHz range. 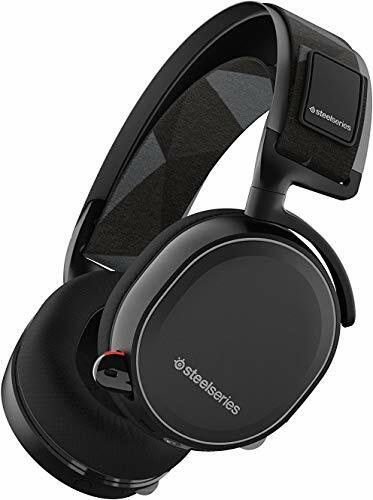 Of the abundant features present in this SteelSeries headset, the features that gets the most praise, are comfort and sound quality, and these are probably the two most important features in any headset. While the 7.1 surround sound features is reserved specifically for PC, the stereo sound on XBox One is still very impressive. The ear cups are incredibly comfortable, the ClearCast mike is sharp and crisp and the rechargeable battery will give you at least 24 hours from a full charge. Above all else, the SteelSeries Arctis 7 Lag-Free Wireless Gaming Headset is sleek and stylish. This headset ticks all the right boxes. Choosing an Xbox One headset is a very tough decision for many gamers. For gamers who frequently play online, the Xbox One headset is just as important as your controller; without a good headset, your allies won’t be able to hear what you say and you won’t be able to hear them. In a game like “Destiny,” communication is key to survival, and you’re just a liability if you can’t communicate clearly with your team. No matter which of these headsets you ultimately purchase, know that each one of them is a high-quality product that will not only improve your communication but will also make you a better gamer overall.